Lisa Dale Miller joins us to speak about somatic trauma intervention. While mindfulness in a typical program is not necessarily therapy, there are often overlapping ideas and disciplines which may be found in both. The skills one develops in a mindfulness program, for example, build a capacity to notice, to sense both the external and internal environment in the present. Some very similar and yet different skills and applications may have some therapeutic benefits, as we explore somatic trauma intervention in today’s interview. 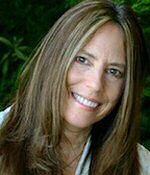 Lisa Dale Miller, LMFT, LPCC, SEP, is a private practice psychotherapist in Los Gatos, California. She specializes in mindfulness psychotherapy and Buddhist psychology and is a certified Somatic Experiencing practitioner. 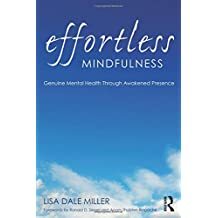 Lisa trains clinicians in the application of mindfulness interventions and practical Buddhist psychology and is trained in Mindfulness-Based Relapse Prevention (MBRP), Mindfulness-Based Cognitive Therapy (MBCT), and Mindfulness-Based Stress Reduction (MBSR). Lisa has been a dedicated yogic and Buddhist meditation practitioner for almost four decades.